This is JD Doyle and Queer Music Heritage, and that song of course was a bit of "Freebird," done by an artist you've heard a zillion times, but you may not know his name. He's Arnold McCuller and while he's a successful solo artist, he's also quite well known as a very in-demand session singer, who's been on thousands of recordings over the course of 35 years. He's provided exquisite backing vocals for a who's who of the music industry. I'll quickly rattle off a few names, James Taylor, Carole King, Aretha Franklin, Diana Ross, Luther Vandross, Bonnie Raitt, Linda Ronstadt, Bette Midler, Lionel Ritchie, Dave Koz, Aaron Neville, Lyle Lovett, Phil Collins, Stevie Wonder, and on and on. As I've always been one to devour album liner notes, I'm very accustomed to seeing his name on album after album in my collection over the years, so it was a treat for me to interview him. I'll start by asking about the beginning of his career and finish up with his brand new CD, called "Soon As I Get Paid." I reached him by phone at his home in Los Angeles. I want to do kind of a career approach. I can't cover everything, of course, it's just like scaling a mountain, but I want to skip through the years and start out with do you have any idea how many albums you appear on? Arnold McCuller: I have no idea. I wish I could find out. I would say probably in the thousands. JD: Wow, I know if you do a search on your name, for example on eBay, in the music section, and you search, well, of course you get your own releases, but you also get pages and pages of James Taylor, Bonnie Raitt, Bette Midler, all the classics. AM: And, when I looked at your site, I realized I've sung for Michael Callen, on his last recording before he died, and on that recording I sang with Holly Near and Cris Williamson. So that was a great, cool thing. JD: That's one of my questions, I'll get to that in a little bit. What was the first recording you sang backup on? AM: The very first recording was Melissa Manchester, in New York City, a record called "Oh, Heaven, how you changed me." "Oh, Heaven" I think it was just called. That was the first professional release. JD: And what was the first you sang lead? the first lead would have been my male vocal group Revelation, would have been my first lead vocal. JD: That's my next question, to tell me about the group Revelation. JD: That was when they were really doing outrageous costumes? AM: Exactly, and we were trying to do funny costumes too, but we looked really silly. From the first album by the group Revelation, from 1975, is a bit of the song "Get Ready for This." JD: How long have you been out of the closet, and did it affect your career? AM: I don't believe it's affected my career. If it has it hasn't been negative. I've sort of been out pretty much all my life. I don't remember making a declaration, if you know what I mean? I've always just lived authentically, I've just been myself. And everyone I've ever worked with has known that I was gay and no one's ever made a deal of it. JD: Tell us about the trio Good Vibrations. AM: How did you know about that? the funniest thing, I mean, we laughed most of the time. Again, the trio Good Vibrations was comprised of Arnold McCuller, David Lasley and Luther Vandross, and there were five songs on their "Good Vibrations" album, and I did a quick mix of three of them. JD: They were really arranged for the dance floor, rather than for the radio. AM: Right, they were definitely for the dance floor. I don't know if anyone ever heard them. I don't know if anyone even danced to them. To think that someone actually heard that stuff would be so funny. But it's a great record, I still have the vinyl. JD: Who's on the cover? AM: I have no idea who she is, just a model. JD: It's a shame they didn't put the three of you on the cover. AM: That would have been so cool. But Luther was in his "big period." Luther was in his large phase. JD: Did you know him well? JD: Did you ever have conversations with him about if he would come out of the closet? even, he never talked much to me about the guys he was with or who he was interested in. We would tease about who was cute or hot or, you know, and joke around about that stuff a little bit, but that would be about it. JD: I remember seeing him on a TV show, this was later in his career, where it was like a tour of his home, and I forget who the host was, but he was going from room to room, and he told her, "and you should see my closet!" AM: (laughs) Oh, what a great line. Did he show all the lalique crystal? JD: I don't recall, I just recall that one line. AM: Well, the thing I recall was that he bought Rona Barrett's home, in Benedict Canyon, it was the best house, and I was over there like two or three times, and one of the main features of the house was his collection of lalique crystal, really really opulent and, right there in front of you, as in "here's what I've done with my money, I've invested in lalique." JD: I think one of your early duets was in 1979, when Melissa Manchester asked you to sing with her on "Whenever I Call You Friend,"
AM: Yes, that's right, so when I toured with Melissa, one of my first consistent tours, the reason I toured with her was to make sure that I was able to do that duet, cause that like the little showstopper for us. That song was written by Melissa Manchester and Kenny Loggins, but of course he and Stevie Nicks had the hit with it. That same year, 1979, Arnold also sang on the soundtrack for the movie "The Warriors." AM: Yep, I did Martha Reeves' "Nowhere to Run." Kenny Vance was in Jay & the Americans, do you know who that group is? JD: Oh, yeah, I'm old enough. AM: Okay, well, Kenny was in Jay & the Americans and Kenny hired me to put together four singers for "American Hot Wax," the movie that I was in. So Kenny was responsible for me getting into "American Hot Wax" and also I think on some level responsible for me being used as the vocalist for "The Warriors." I think Kenny produced that version of "Nowhere to Run." JD: Something I'm curious about, when you're in the studio doing backups, for a recording, about what percent of the time is the lead singer there at the same time, as opposed to recording the backups later? I'd say, it's a 50-50, well, 75% of the time the lead singer is there, but 25% of the time they're not. JD: So you could be on someone's album and never have met them. anyway, I did a session with him and he was in the studio, and I was surprised, I was actually surprised that he was there, because I actually expected it to be the producer and the two singers. But he was actually there and sang with us and knew exactly what he wanted, and we were in and out in an hour, did two songs. JD: I want to hear the story of how you get involved with session singing? I think I got there first, and when I got there I just started going around to auditions, music theatre auditions, reading back stage and going to music theatre auditions, and basically pounding the pavement and living on unemployment and living on the money I'd saved from touring for all that time. When I landed in New York and was trying to get theatre gigs, musical theatre gigs, I realized that there was not a lot of money in that stuff. David and I put together a group, David, myself and Lynn Pitney, just one of the other singers in "Hair," and we had a really unique sound. So, people liked our sound and we sort of undercut the session singers and would work for less than scale. So we got a lot of work. We got a lot of work, and one of our first gigs was doing reference vocals for Tony Orlando and Dawn. We would do all the backgrounds for Dawn and did the reference lead for Tony. JD: What's a reference vocal? we would sing a song that he was supposed to learn for the TV show. I think at the end of every Tony Orlando & Dawn Show there was a song. JD: So, this wasn't the recording, this was to help the vocalist learn it? AM: Exactly. So what you heard was Tony Orlando & Dawn singing these tunes but the way they learned how to sing the tunes was through David Lasley, myself and Lynn Pitney. JD: Gotcha, let's get to your first album, your first solo album, that was "A Part of Me That's You," from 1984. Could you talk about that? AM: It was done with David Benoit, a beautiful jazz keyboard player, who had two solo records that I had sung on. He had just one vocal on each of these records. The first one was "Digits" and the second one, I forget the title, but I had sung two songs for him, and he was signed to AVI Records at the time. JD: I think the song was "Take a Look Inside My Heart"? AM: "Take a Look Inside My Heart," yeah. And "A Part of Me That's You" was the second one, and it was on "Digits," yeah, "Take a Look Inside My Heart" was his very first record. So, I had a vocal tune on each of those records and his record label said, you know, we've got two tracks on you already, let's see if we can put together eight more and put out an album on you. So that's how my first solo record came about, and I wrote quite a bit of it with Lorraine Feather and David. Lorraine's the daughter of Leonard Feather, the jazz writer for the L.A. Times. From 1982, here's a bit of of the song "Take a Look Inside My Heart" listed on the 45 as by David Benoit, featuring Arnold McCuller. JD: The album "Exception to the Rule" was in 1990, and it spawned a choice duet with Bonnie Raitt. AM: Yes, I had been singing on Bonnie's records. I think I had just done the "Nick of Time" album with her, and she was very generous to come in and sort of help me out on that. She just sort of learned the harmony part and sang it and split, but she was really great. That record came about because I had been signed to Virgin Records. They gave me $250,000. I did all the artwork, the record was ready to go to print, and the head of Black radio said the record wasn't "black enough" and couldn't promote it. And they dropped me, and it was kind of devastating. So I just sort of picked myself up and said, fine, I'll start being an independent artist and make whatever kind of record I want. JD: Around 1995 you were involved with a couple gay recording projects. On the compilation "Winter Moon," you sang the John Bucchino song "A Mama Like Mine," how did you get involved with that? AM: I think he was a friend of David's and he had heard my voice and knew that he wanted me on his record. I loved that vocal, actually. JD: There was an album released in 1996 which was a tribute to Michael Callen, called "Legacy." His vocals were recorded shortly before his death in 1993, and you were on backups on six of the songs, including one of my favorites, "Love Worth Fighting For." David and Michael and I did stuff together in Los Angeles but I got to go to San Francisco and work with Holly and Cris. JD: Did you record anything else with Michael that's not on the "Legacy" album? basically his manager and I were good friends and I think we were just working on Michael's stuff, and he wasn't really well. I distinctly remember he was a very serious AIDS activist, and happened to be a singer/songwriter as well. JD: Any other memories of those sessions? AM: Not much, I remember the little motel we stayed in, in San Francisco, and I remember meeting Holly and Cris for the first time and how sweet they were, but it was just a nice time, it was a really good time. Michael was pretty frail, he would be pretty tired, and he would have to get up enough energy to make it to the studio and record. JD: One of the songs was "They Are Falling All Around Us." That's the one that you sang with Holly Near and Cris Williamson and John Bucchino. AM: Yes, I remember crying in the studio singing it, it was amazing. JD: I want to move ahead to 2000, you did a film soundtrack called "Duets"
AM: Yeah, the two tracks of mine are "Freebird" and "Try a Little Tenderness." "Try a Little Tenderness" is a duet with Paul Giamatti, who I love love love, and he actually sang the duet with me. We were on one mic singing to each other. It was like Sam & Dave style, and that was really big fun. And then I had that solo, it was just the end of the movie, on "Freebird," the a cappella solo, which is one of the coolest things I ever did, cause whenever you go to a concert people yell out "Freebird" as a joke. It was funny cause they wanted it to be very sort of inside and personal, and I recorded it in a dark sort of booth, sitting on the floor. He said, just sing it the way you would sing it, here are the words, and here is the melody, but just do it the way you would do it. JD: Up to 2002, you had a excellent idea for an album, and that was the idea of doing it with the name "Back to Front." that would have been too costly and time-consuming. JD: Oh, yeah, I know a couple of the tracks were "Nick of Time" and "I Can't Make You Love Me." What classics. she said "I ain't never been covered before." Those were her first words. She said she had never had anyone cover her record. It's funny. Here's a bit of another song I love from the "Back to Front" CD, "I Can't Make You Love Me." JD: What comes to mind when I ask if there is a particular album where you provided backups of which you are particularly proud? AM: Ah, the first would be "Nick of Time," I'd say, Bonnie Raitt, "Nick of Time." But then also the Ry Cooder stuff I did. I love working with Ry Cooder. Getting to sing on an Aretha Franklin tune, I sang "Hold On, I'm Comin'" on an Aretha Franklin record. Just to be on an Aretha Franklin record was a big thrill for me. JD: You sang backing up James Taylor at the inauguration ceremony of President Obama, that's got to be a highlight of your career. you know, all the people that were on the mall as well as all the people that saw on television. But on top of that CNN actually covered President Obama walking down the row of artists, and shaking each of their hands, and when CNN turned that moment on, the first person that you see shaking his hand was me. So people actually saw me on CNN shaking the President's hand. It was just one of those really perfect timing things. JD: How did you start working with James Taylor? I believe David Spinoza referred us to James, cause James said, I'm about to go out on the road, and I've got all these harmonies, and I don't want to have the band sing, I want them to really be sung well by singers. Spinoza referred us, but I think James also saw us on Saturday Night Live, singing backup for Jennifer Warnes. We did "Right Time of the Night" on Saturday Night Live backing her up. So, the combination of those two things, James called David Lasley and said could you come by and talk to me about possibly singing? So, we went over to his house. He and Carly were still together at the time, and I remember it was 135 Central Park West, and there was a big huge painting of a gorilla in a beach chair, on the wall, that was my favorite image of that moment. And we sat and sang and drank water and talked, and sang and drank water, we just sang and talked for six solid hours. That's sort of how we got started. JD: Your solo parts on "Shower the People" appear to be fan favorites. AM: Yeah, he can't do a tour without that being an encore or being an integral part of his set, and it's hard for me to walk away from touring with him, but it's also imperative that at some point I do it to branch out and do more solo work, and more club work in L.A. and more solo records. There's just so much more to do than sing backup for James. That was from a 1998 concert in New York City at the Beacon Theatre. JD: I know you've done other album projects in the 2000's, I want to get to the new one though. And you co-wrote the title track, let's hear about that one. 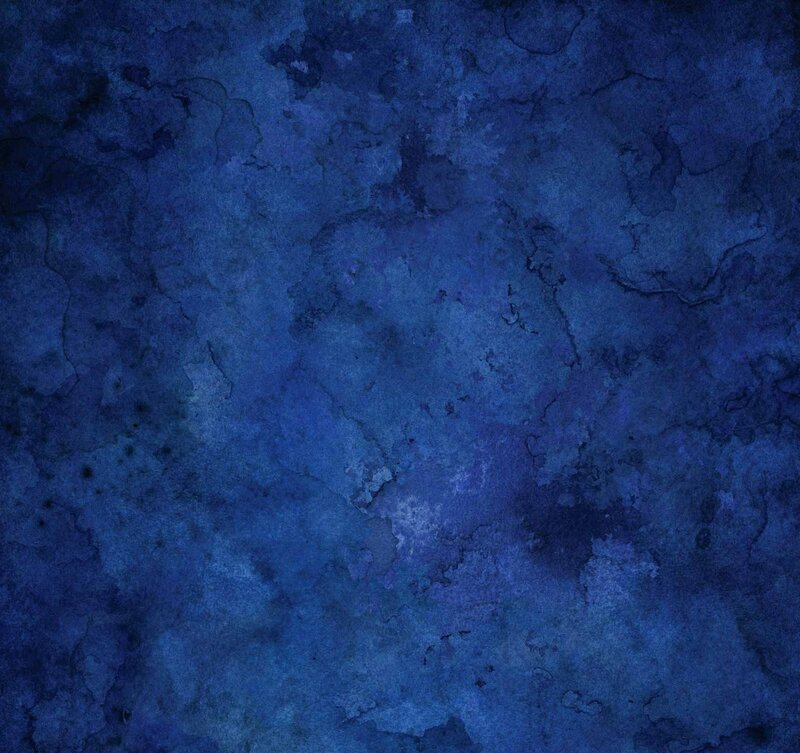 what would be a great blues album name? And I had all these titles that were funny, and I remembered meeting Chuck Berry, on the "American Hot Wax" movie, and hearing stories about how he would have to get paid before he went on stage. And I heard those stories about Mahalia Jackson and Aretha Franklin and all these cool blues artists who had been screwed in their past. And they just decided, the only way they're going to work is to get their money upfront. So, we thought "Soon As I Get Paid" was a great title, laughing, but then I had nine tunes and I said I would like to write a tune from the title. And it ended up being this autobiographical thing about my dad, and being raised in Cleveland, and how he made his living, in the summers paving asphalt. The McCuller Paving Company was what it was. JD: Well, the album has a nice mix of new and old, the old ones include "There Is Something On Your Mind," which I love, and "Lonely Teardrops," and "Do Right Woman, Do Right Man." How did you pick the material? I recorded my interview with Arnold McCuller on October 17th, and two days earlier he had performed at a special concert, called "Decade of Difference," honoring the birthday of President Clinton and the tenth anniversary of his foundation. AM: Yes, it was the Bill Clinton Foundation/Bill Clinton Birthday Bash, and for the first time, knowing Stevie, I'd met him a few times, my first time singing backup for Stevie Wonder, who opened the show. And on the bill was Lady Gaga, who I'd met as well, I met her in Australia but I didn't get to say hi to her this last trip. And there were so many people backstage, at some point you just had to go to your trailer and take a breather from all the stars. It was a little overwhelming at times, with the President and Hillary and Chelsea and Bonnie was there, Bonnie Raitt, Joni Mitchell was there, and Jane Fonda and Richard Perry. Ashton Kutcher was there, Patricia Arquette, Kenny Chesney was there, he was on the bill, Bono and Edge, Usher, and then Stevie. JD: You sang on the closing song, too. AM: I did, how did you know? JD: Cause the whole video is online now. It's like three and a half hours, and I didn't watch the whole thing but I skipped through it and found you at the end also, on the song "Feelin' Allright." AM: That's cool, that's great. My PR guy was telling me that he heard the whole thing but I didn't know if that made it to the show. JD: That's kind of like the let the audience walk out hearing music song. and the camera were going like crazy. It was like I was talking to Obama or something. It was just the coolest thing. And he shook my boyfriend's hand, we were there together. JD: That's wonderful. Is there any question I should have asked you? Good information, indeed. I don't usually ask that type of question, but I'm glad he volunteered it. 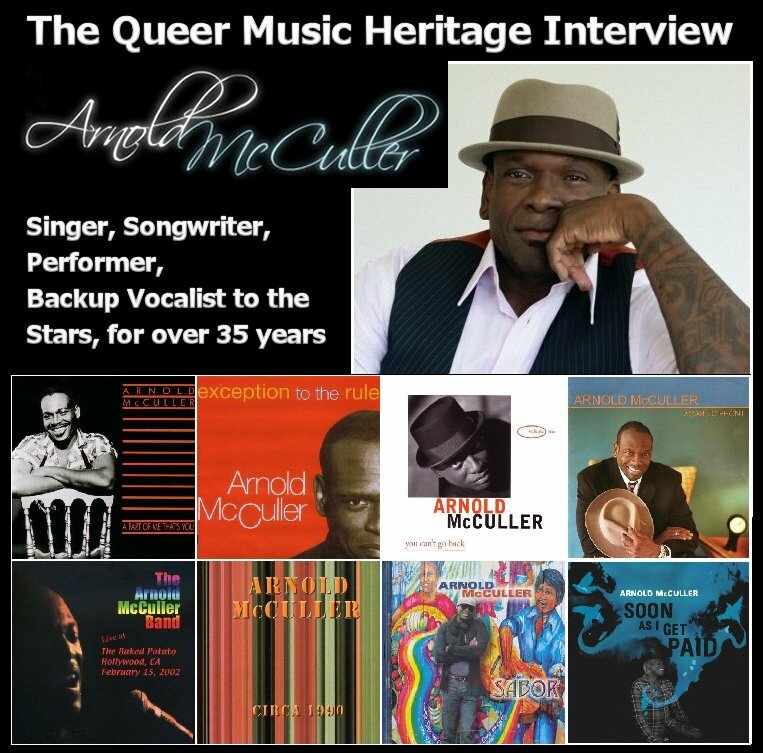 This is JD Doyle for Queer Music Heritage, and I want thank Arnold McCuller for the wonderful interview, and to thank you for listening and to remind that this is just part 1 of the show this month. 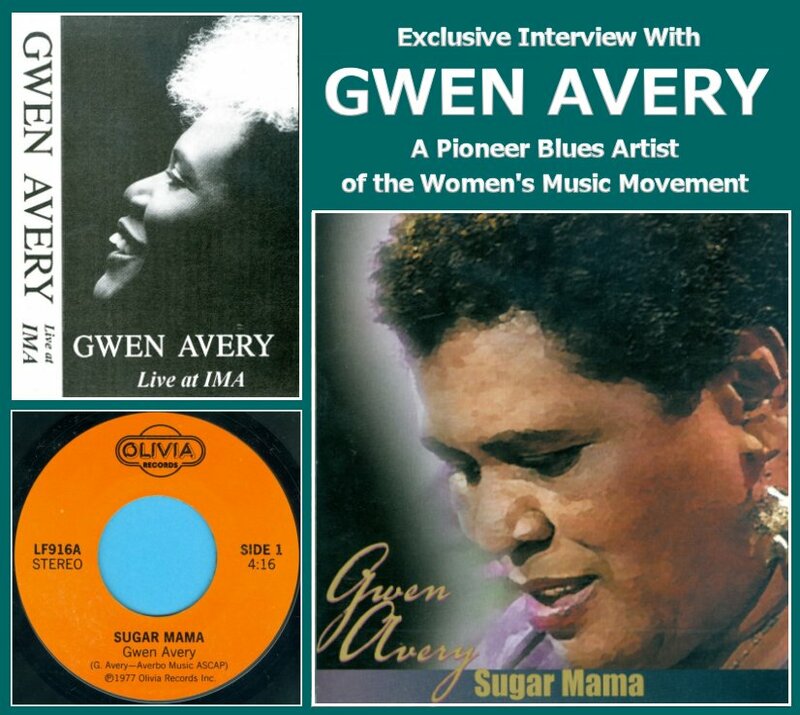 Also on my website you can find an exclusive interview with Gwen Avery, one of the pioneer blues singers of the Women's Music Movement. And again, my site is at queermusicheritage.com. Of course I saved one more question for Arnold to close out the show. JD: Hard question, is there a song on the new album that's a special favorite song of your's. AM: My absolute favorite is "Gods and Monsters." I wrote it and it's the song that sort of is the best writing that I've done in a long time. I went to see my friend Michael Landau, who is playing guitar on the record, at the Baked Potato, here in L.A. and came home. We were having fires in L.A., and at sunset when there are fires, it's just an unbelievable sky. The sky is like colors and black and red, it's just the eeriest sky you could ever see. And the fires were on Catalina Island, and as the sun was setting I remember going to the gig and seeing the fires and I stayed for the late show. "Gods and Monsters" is sort of my version of "Killing Me Softly" and it's that feeling that I got when I went to see Mike play, and the feeling that I was feeling in Los Angeles at the time, with the fires and all that stuff. I just put it into a tune, and at two in the morning, and put it on a tape and decided to map it out and make it a real song. Yes, I'm gonna live the life I sing about. This is JD Doyle for Queer Music Heritage and that is blues artist extraordinaire Gwen Avery, with a song from her 1993 release, "Gwen Avery, Live at IMA," and IMA stands for the Institute for the Musical Arts, where that concert was recorded. I am very pleased to bring you an interview with Gwen, and especially pleased as she has not done an interview in many years. I think honoring her music history is long overdue, as her career goes back even before she appeared on the landmark Olivia Records album "Lesbian Concentrate." On that LP she gave us the classic "Sugar Mama," and we'll talk about that and a lot more. I began by asking her to talk about her musical influences. Gwen Avery: Well, since I was singing since I could rock, in my cradle if I had one, it would have to be like my great-grandmother, and then my mother, my father and then later on the jukebox became my parents, so at eight years old, jukebox, jukebox, jukebox, jukebox, jukebox. And then don't let me forget that my grandmother was, my mother's mother, Miss Clara Benson, well, the little bit that she did on the guitar, she would use (sings) "won't you be my chauffer, won't you be my chauffer, I want you to drive me, I want you to drive me downtown, cause you ride so easy, make me put my lover down"
Etta James, of course, Tina Turner, of course, and Aretha Franklin. Of the men singers there was Little Willie John, Little Anthony, and of course Frankie Lymon, who I appreciate more and more the longer I live. JD: How did you get started performing music? GA: Well, there was a woman named Pat Ramser that turned me onto a rock band called Full Moon, formerly Romb, r-o-m-b. That was my start and then I got into the women's music scene, around 1974. JD: The earliest recording of you I know about is an album from 1976 called "Any Woman's Blues." GA: Yeah, that was pioneer days of women's music, starting from 1974 the Santa Cruz Women's Music Festival, and then shortly after that was Olivia Records, and then some of the people from that. JD: Yeah, I want to get back to "Any Woman's Blues" just for a second. That was a concert from a women's prison, do you remember that, can you tell me about that? GA: The people from, certain people from Olivia Records. That was in order to get a library into San Bruno Women's Prison. The energy was for that, and that did happen as a result of that "Any Woman's Blues" album, which was a collaboration of the then would-be Olivia stars, which I was supposed to be one, and never was, but yeah, that was part of the Olivia scene. JD: Yeah, that album included Linda Tillery and Pat Parker, and there were also songs by Holly Near and Cris Williamson, but I get the impression they weren't at the concert. I think that was done to just bring attention to the album. You had two songs on the album. One of them was called "A Change." Can you talk about that song? GA: Well, both of the blues-sounding, gospel-ly numbers were an effort to do a blues that didn't have anything politically incorrect in it, so I wrote them with a message of something positive, which as a blues, is kind of an oxymoron. I don't know what it is [it's a hopeful song] Yeah, a song of a change all over me, yeah, it was a good change. And that song was called "A Change," and was on the very rare concert LP "Any Woman's Blues," from 1976. There is so much good and rare music by Gwen Avery that I won't be able to pack it all into an hour interview, so I created a sort of bonus segment of this show, where you can hear full versions of some of her rarest material. Check my website for that. JD: I want to talk about another recording I have. In 1976 you and Steven Grossman and Blackberri gave a concert the aired on KPFA in Berkeley, they called it "Gay Music for a Spring Night," and you sang two songs, and one of them was "Back Yard Blues," and you can hear Steven Grossman and Blackberri provide backups. Do you remember that show? Sylvester did the song, originally, yeah, "Back Yard Blues" was done by Sylvester, and it was a fun song to do. Again, it was a treat for me to hear Blackberri and Steven Grossman helping out on the backups, and I want to thank the Pacifica Archives for making that rare concert available to me. I want to interject before I let you hear Gwen answer my next question that this is one of those times that you do not get an answer you expect, and you'll hear her talk quite frankly about Olivia Records from a different angle. JD: I want to get to Olivia Records now, how did you get connected with them? but they thought that was too much. Anyway I didn't get to make an album and Linda Tillery herself came to give me the good news that I wouldn't be recording. She was part of Olivia at the time, and no point in even doing anything. So I got like .025% of the album that was sold, over the years. [The "Lesbian Concentrate" album ] Off of the "Lesbian Concentrate" album, from Olivia Records, then at some point they gave me back all rights, so that I could make my recording. JD: Yeah, I found verification that Olivia was announcing plans to release an album with you, probably like '78. JD: If they just recorded you on vinyl, the audience wouldn't see you, so why not do that? again, I can't understand, I mean, it's so insulting when I think of it, to defy my culture, that's what they wanted me to do, and I guess, sit there with my legs crossed and my arms folded. JD: Well, let's step back a moment and look at the big picture, and "Sugar Mama" is your signature song, and you've recorded it several times, do you think your treatment of the song has changed over the years? we devoted our time and energy and love to them, and I was cast out. The song "Sugar Mama" is Gwen Avery's signature song, and she's recorded it several times over the years, but I want to play a bit of it from that historic "Lesbian Concentrate" album, released in 1977. JD: To you what is women's music? GA: Well, to me at that time, my thought was, that it was music that related to women, by women, for women, exclusively, and if anybody else enjoyed it, fine. 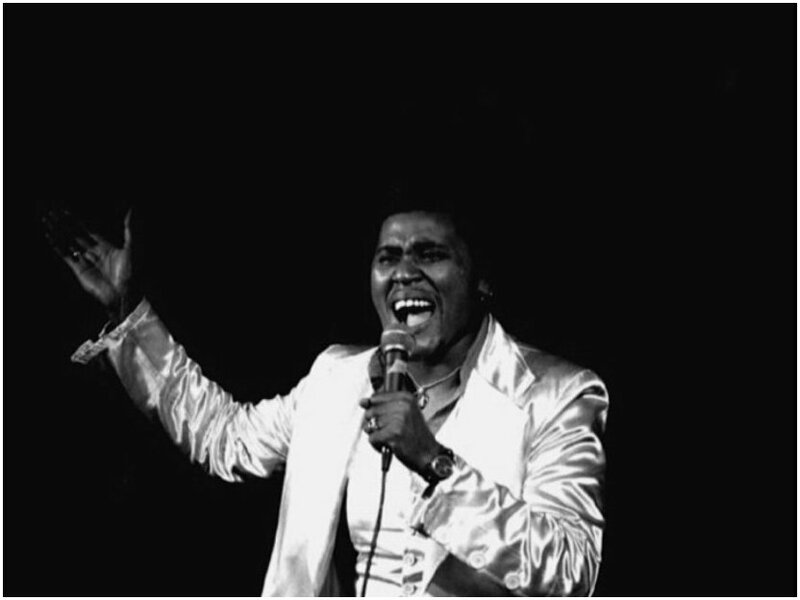 JD: In the Fall of 1978 you were part of the Varied Voices of Black Women Tour? How did that get started? GA: Let's see, Judy Dlugacz was the CEO of Olivia Records, and put it together. I think I just marginally made it, since I was going to be doing that album after that tour, doing an album with them, but again there was very, very high anxiety for me. I dressed differently. I would wear satin suits, and platform shoes and an afro, with neckties, beautiful silk shirts. They were wearing plaid shirts and blue jeans, so it was a different show. JD: These were with Linda Tillery, Mary Watkins, and Pat Parker. JD: And how were these shows received. it wasn't the beautiful chants of Meg Christian or Cris Williamson, but it was joyous nonetheless. JD: I've seen some comments from others that when the women's music movement started it was pretty much run by white women, and was not as open to black or other minority artists. I think what they call it today is "down low," but she would be straight on some occasions and on other occasions she'd be gay. So, "they said I didn't it but nobody caught me, you sure got to prove it," and that was from I guess the 30s. [Ma Rainey - Prove It On Me Blues, 1928] and that was the other side of the "Sugar Mama" 45, which was supposed to be for my album, and promotional 45. To interject some data, the song "Prove It On Me Blues" as done by Teresa Trull, appeared on the "Lesbian Concentrate" LP along with Gwen Avery's "Sugar Mama." The same album had one song each by Black artists Linda Tillery and Mary Watkins. And around that time, in 1978, Olivia released one album each by Tillery and Watkins, and much later, between 1985 and 1992, three by Deidre McCalla. JD: I also have been able to get a recording of a radio concert you did that aired in September of 1979 on WBAI in New York City. It's an hour long and it contains several songs that were never officially recorded. I hope you can tell me about a couple of them, cause they are very out of the closet. One is called "Do It On Your Own"
people playing games with your head, getting you to do things, and the price was in my case, the album, and the payoff was that I didn't get it. And "I Can Do It On My Own" was kind of like, yeah, I can do it on my own, which I have been doing. But in terms of making a living from it I never have. JD: A lot of artists don't achieve that. GA: I meet them every single day, artists that are just as good, or better sometimes, than anybody that you will hear that's getting paid, but even the finest, that's dressed so well and make so many albums, still are struggling to pay the rent. JD: I want to skip ahead a few years. This is a record you participated in, you didn't sing lead. In 1992 you participated in an amazing project conceived by Lynn Thomas. She wrote a song for the 1993 March on Washington. It was called "Together Proud & Strong"
GA: Oh, yeah, that was so fun. JD: There were 62 singers combine their voices, sessions done in six different cities. You were in the Berkeley session and added the very important gospel presence to the song. GA: Yeah, if I was there, that's what it would be. Yeah, "Together, Proud & Strong," I still have my t-shirt, with all my little autographs, from all the people that were in that section, and June Millington and Ann Hackler, who I'll always appreciate, were part of that. Again, that was the group song "Together Proud & Strong," Gwen next talked a bit more about how she thinks she was perceived at that time. that's the kind of stuff, J.D., that was going on. GA: Yeah, they were like sisters, parents, and friends, and if I didn't have so much respect for them, they could have been my lovers, too. They were lovers of my soul and I loved them very much, right until this minute, and a lot of the people who were connected to IMA I also loved and appreciated. They were wonderful, and still are, in my mind. JD: The tape was called "Live at IMA," any songs you'd like to talk about from that tape? JD: It was a concert, wasn't it? Well, you did a ten-minute version of "Sugar Mama," what's wrong with that in a concert? GA: Well, I don't know, it was just the verbal stuff that I would have edited if I had your skill. JD: One song I liked from that show is "Shout It Out"
GA: Well, that again is an Ozzie Ahlers tune. I still we do some of Ozzie's stuff, cause he was my first teacher, on piano. JD: Finally we get to the album from 2000, which I think is a masterpiece recording, called "Sugar Mama." It was seven years since Gwen's IMA recording, so I wanted to hear about the recording of the CD itself? I had been left out, and as a result, as an apology, both Linda (Tillery) and Mary Watkins offered to support me on my album. Well, Linda was the one who took up the banner, and to me it was a positive experience, at least 90% of it, and those songs were done mostly with one take, and we went back and did just a few things. I guess the time for the whole thing took about 12 hours. JD: How was that CD received? or, 68, will be 69, and it's not as easy as it used to be to go through these periods. JD: Right. Other than "Sugar Mama," is there a favorite song of yours on the album? GA: "Suzanne," Leonard Cohen's poem, put to music, and a lot of wonderful people have done it, but it's actually my favorite song. JD: I know a lot of people like your version of "Georgia on My Mind"
"Sugar Mama," "Suzanne," "Georgia on My Mind." Jackie Herston, who's a vocal coach in Oakland, prepared me vocally for that, because I was so anxiety-ridden that I said I can't stand to sing it, can you help me, and that's how I got "Georgia on My Mind" to sound so nice. JD: You also included the classic song by Nina Simone "Sugar in My Bowl." before I get too old"
whatever, it's a fun song, yeah, "Sugar in My Bowl." I want to slip in another song from the "Sugar Mama" CD, and it's one that she's been singing for 35 years, called "I'm On My Way." JD: In 2002 there was a documentary called "Radical Harmonies," and you were in that, can you talk about it? yeah, "Radical Harmonies," that was great and they did a documentary of that period of time from, I guess, 1974 until at that time, present date. JD: They show a couple scenes, you talking with Linda Tillery and Mary Watkins. GA: That was exactly the time that I'm talking about. I was telling them that I felt outcast, and they both volunteered to help produce the album. JD: When you perform live, which song gets the most audience reaction? since I sing for children, straight people, and all cultures now when I do play, almost anything I do gets a reaction, because that's the kind of performer that I've become. JD: Because the way you do it. GA: It's just the way I do it, yeah, I will do it, I guarantee it. JD: Lately I gather you do performances from time to time. GA: Well, primarily for the Main Street Station in Guerneville (California) but the Triple R had been around for a while, and I was doing a little bit at the Russian River resort, and a few things in Oakland and San Francisco, but not much in the last seven years. JD: I think you're scheduled to do an event for a candidate for mayor [of San Francisco]. JD: You and Blackberri go back a long time. GA: Yeah, we've been buddies for a while. Blackberri was very instrumental in getting me into the Gay Parade, or any Black person, actually, that was gay, because that was, like, white also. I guess it took him almost to the 80's and 90's to get us in. This JD Doyle, and first I want to thank Gwen Avery for the interview. It's her first one in many years so I am honored to have captured it. During the interview I mentioned that I had acquired a recording of a radio concert she did on WBAI in New York City, in September of 1979. This has very likely not been aired since then, making that 32 years locked away. I thank the Pacifica Archives for getting me that recording so I can share it, and it contains some gems never officially released. You can hear the entire hour concert on my website, which again is at queermusicheritage.com. And of course I would not finish this show without playing Gwen's signature song, the version from her CD of the same name, "Sugar Mama." This is JD Doyle bringing you a special concert by Gwen Avery. It aired on WBAI in New York City in September of 1979, and likely has not been heard since. I thank the Pacifica Archives in Los Angeles for providing this to me, and you'll hear the entire hour concert. I left the historic introductions intact. Gwen Avery in concert. This is JD Doyle with one more segment on Gwen Avery. I love her music, but so much of it is very rare, and only the "Sugar Mama" CD from 2000 is still available at all. So this sort of bonus segment shares with you selected tracks, in some cases full versions of ones from the main interview. I'll start at the beginning with her two songs from the LP "Any Woman's Blues," from 1976, which is the first recording on which she appears. The songs are "A Change" and "I'm On My Way." Also in 1976 Gwen appeared on a radio concert with gay musicians Blackberri and Steven Grossman, who were also pioneers of our music history. The special mini-concert was called "Gay Music for a Spring Night," and again I have the Pacifica Archives to thank for it. She sings two songs, "Hurry On Down," and "Backyard Blues," and Blackberri and Steven back her up on the second one. 1977 began Gwen's affiliation with Olivia Records and of course "Sugar Mama" was released by them as a 45 rpm record, with Teresa Trull on the flip side, and it appeared on the landmark album "Lesbian Concentrate." That LP has still not been reissued on CD, but you can find downloads online, for example at the site www.archive.org. In 1978 Gwen appeared on the album "Something Moving," on Olivia, for the artist Mary Watkins, and sang lead vocals on the song "Yesterday's Children." For the record, as they say, Gwen also provided supporting vocals on the album "Face the Music" by Meg Christian, and for the Linda Tillery song "Don't Pray for Me," on "Lesbian Concentrate." And in 1982 she backed up Gayle Marie on the song "Stormy Nights" from the LP "Night Rainbow." The song "I'm Gonna Life the Life I Sing About" would later appear on Gwen's 1993 cassette tape release, but in September of 1984 she sang a live version in San Francisco at a memorial gathering for AIDS activist Bobby Campbell. This comes from the San Francisco radio show "The Gay Life," hosted by Randy Alfred, and airing on KSAN-FM. For this one I'm grateful to the San Fransicso GLBT Historical Society. The first full length release by Gwen came in 1993, and a concert was recorded by June Millington and Ann Hackler of the Institute for the Musical Arts. The cassette tape was called "Gwen Avery, Live at IMA," and it got some distribution at the time, mostly through Ladyslipper music, but now is almost impossible to find. I was only able to get my own copy when Gwen sent me one after our interview. Of the 15 songs I picked four to close us out, "Trouble in Mind," "CC Rider," "Missing You," and there's a brief one at the end, the Wilson Pickett song "Ooh Poo Pah Doo." This is JD Doyle and thank you for letting me share Gwen Avery with you.